Visit Lee Wind's blog for another exclusive SCBWI TEAM BLOG Blog interview. Today Lee shares a conversation with Lambda Literary Foundation Director Charles Flowers. Charles will be the special guest at a GLBTQ Poolside Lunch Chat on Friday August 7th during the upcoming 38th Annual SCBWI Summer Conference in L.A.
You can still register for the August event. Click here for details. Be sure to visit Lee Wind's blog today to read his terrific interview with SCBWI Summer Conference keynote speaker Ellen Hopkins. You can still register for the event, full- or part-time. Click here for the registration page. If you don't have the time (or the funds) to attend the entire SCBWI 38th Annual Summer Conference, there is an option to attend part-time. Full-day Sunday registration. Does NOT include a ticket to the Golden Kite Luncheon. Tickets to the Golden Kite luncheon are $75 each and must be purchased separately. Saturday/Sunday, 2-Day Registration. Does NOT include a ticket to the Golden Kite Luncheon. Sunday/Monday, 2-Day Registration. Does NOT include a ticket to the Golden Kite Luncheon. Click here for the conference registration page. Hope to see you there! And don't forget--you can read about any conference happenings you miss right here on the conference blog. And for those of you who still may be thinking about registering for the event but haven't yet, read Suzanne Young's post featuring feedback from three first-time conference goers. To follow Alice Pope on Twitter, click here. To follow Jaime Temairik on Twitter, click here. To follow Jolie Stekly on Twitter, click here. To follow Paula Yoo on Twitter, click here. To follow Suzanne Young on Twitter, click here. To follow Lee Wind, click here. 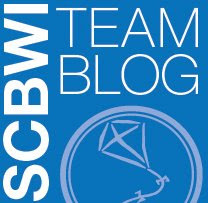 You can also follow SCBWI by clicking here, where you'll find tweets linking to all the SCBWI Conference Blog posts. PROtrack Shoot is an exciting new option for everyone attending the SCBWI Summer Conference who is eligible for the **PROtrack. SCBWI is setting up a space at the L.A. conference where PROtrack attendees can tape and upload two minutes of their classroom presentation for the new searchable speaker’s bureau. The fee is just $25 for this service. Interested PROtrack conference-goers can simply follow this link, fill out a form, pay the fee, and you'll be scheduled for a 20-minute block of time to shoot your presentation. The video will be uploaded to your profile at the new SCBWI Online Speaker's Bureau, where teachers and librarians will be able to search for authors and illustrators who make classroom visits. ** This special track is only open to published writers and illustrators and offers 8 targeted courses plus a Saturday “How Published Authors and Illustrators Can Work with Booksellers” luncheon. The SCBWI will also host a reception in your honor on Friday evening where one of your titles will be on sale to conference participants.